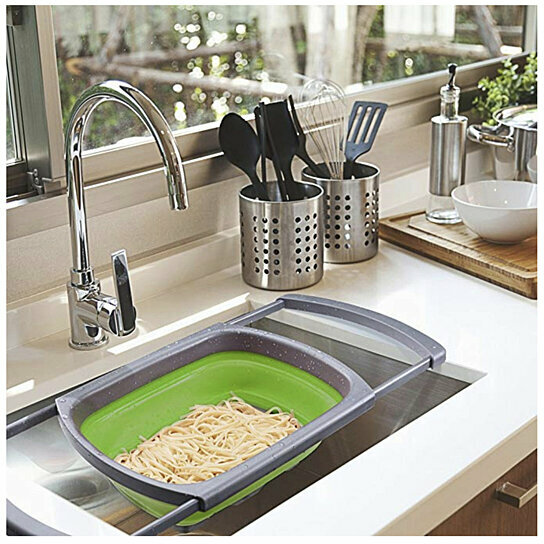 Cut food prep in half the time with the Collapsible Colander. Over the sink design features non- slip handles and is heat resistant up to 158 degrees Fahrenheit. Suitable for everyday use and is dishwasher safe!